First off excuse my noobness. Just recently one of my fans have been very squeaky. Upon closer inspection it's barely even moving; When it does it is slow and squeeks. Now normally i'd just go grab a new fan for 10 bucks and slap it in. The fan squeeking though, is my mobo/cpu fan. I've been running real temp and my temps are running fine. i do have have 3 other fans in the unit, so th4ey must be keeping the system cool enough. I usually don't do anything too taxing on my system. In fact more often then not the fan is not even trying to spin it seems. So of course i want to fix this. My problem is i am not familiar with connecting/disconnecting and removing this fan. Their are 4 screws around the fan that have springs and appear to go all the way down to the bottom of the mobo. So how to i change out this fan? 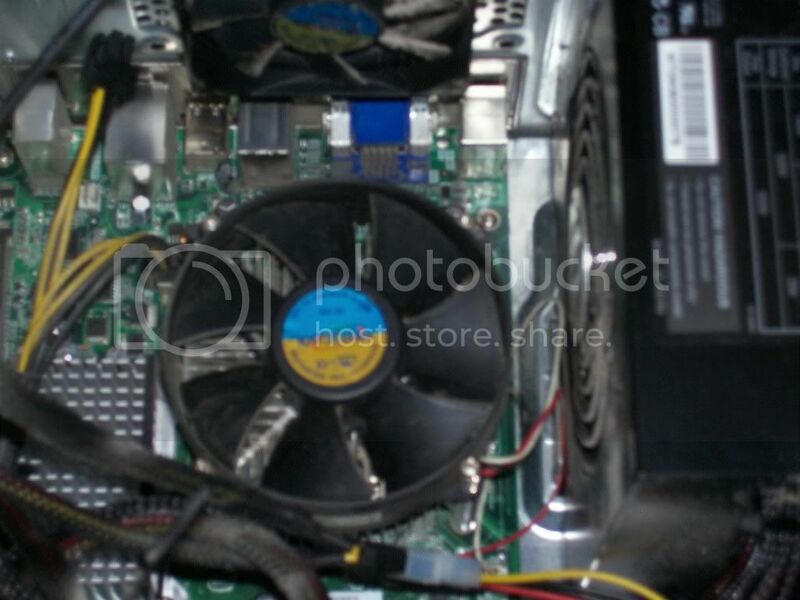 Is there anything besides the screws holding the fan to the heatsink? or is the fan/heatsink 1 piece? I'm a bit nervous if i have to remove the thermal paste and reapply. Also i have verified that the fan is most likely just shot. i ran p95 for about a minute and the fan only tried to spin and squeaked. I shut off p95 when my core temps hit 60.